CONGRATULATIONS to Laura Finlay, winner of the Australian Stock Horse Bursary for 2017. Well deserved Laura! Two of our show riders were back in action at Uralla show at the beginning of the month. Charlie Aitken secured herself champi on open hunter and reserve champion working hunter. Bronte Dagg took out champion senior rider and champion pony. Tremendous results, keep up the good work girls. 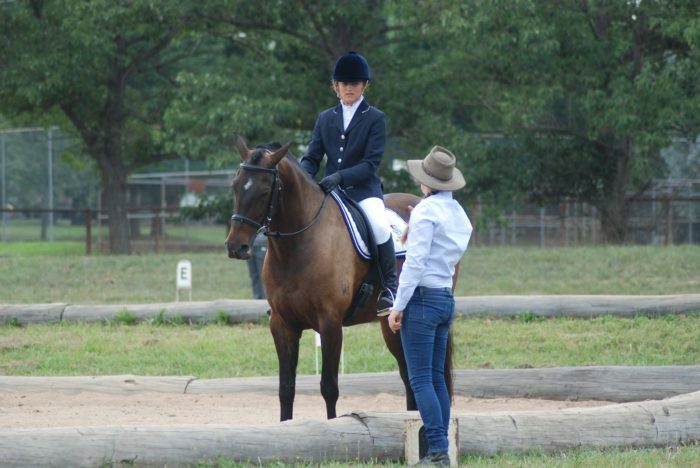 The NEGS girls had a brilliant weekend at Armidale Official Dressage competition. We had eight girls competing in different levels and some wonderful results. Firstly, we would like to thank all the girls for representing the school with such pride. 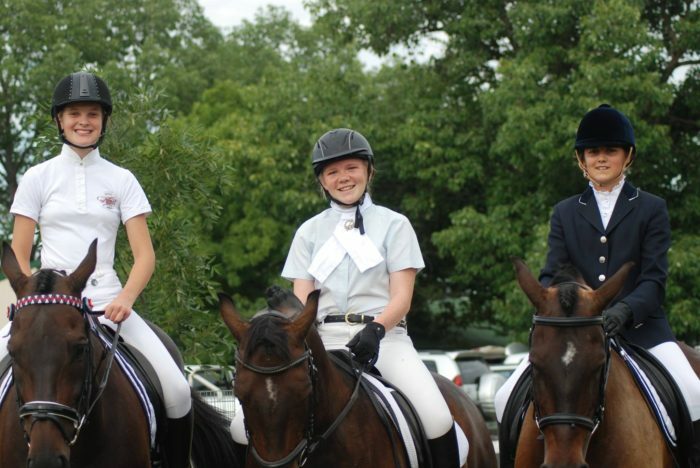 All students were turned out extremely well in their NEGS saddle pads and competition attire. Not only did they look impeccable, but their team spirit and support for one another was noted by members of the Armidale Dressage club and FEI dressage judge, Ross Green. Ross even commented on how well turned out all the NEGS girls were and what an honour it was that they had the privilege of being a part of Australia’s leading equestrian school. Now, to the results! Our resident Darwinian, Olivia Ruzsicska had a brilliant day. 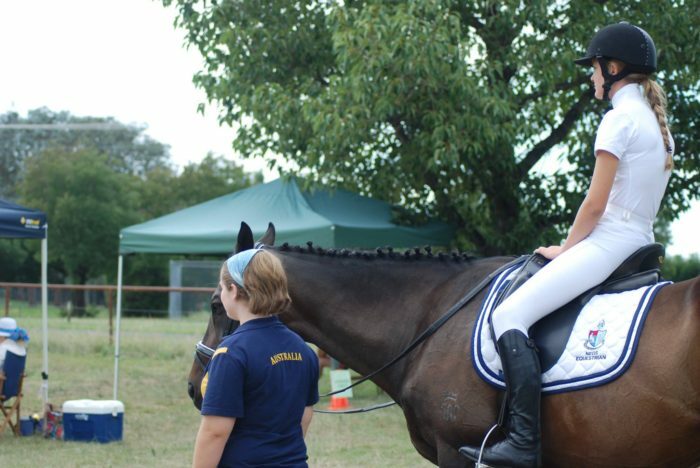 Olivia and her horse Warrego Dumbledore were 6th in the Elementary 3.1 and 1st in the Elementary 3.2. Katie Hancock did a super job on her new mare, Anytime. They finished 3rd in the Preliminary 1.2. Anna Jarvis had very impressive results with her new horse, Ollie. 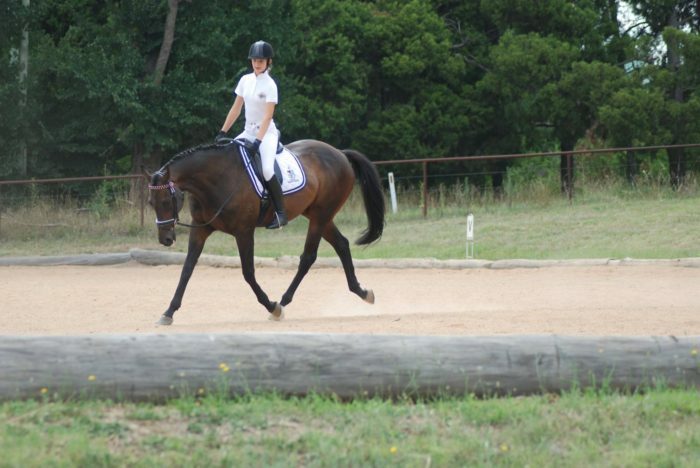 She got 4th in the Novice 2.1 with 69% and 2nd in the preliminary 1.1 with 75%. 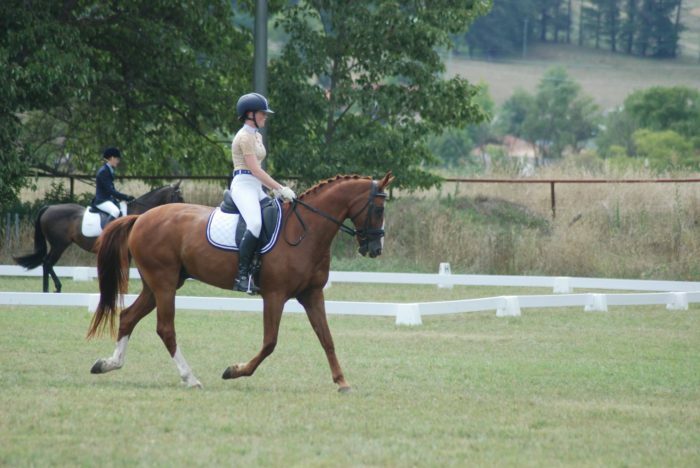 She also came 8th in the Novice 2.1 and 6th in the Preliminary 1.1 on her other horse, Fin. Molly Michell-Smith did a great job to finish in 7th place in the novice 2.1 and 12th in the preliminary 1.1 on her young horse, Ballymount Lord Ruben. Matilda Hall and her trusty steed, Spelling Bee managed to finish in the top 5 for both tests! 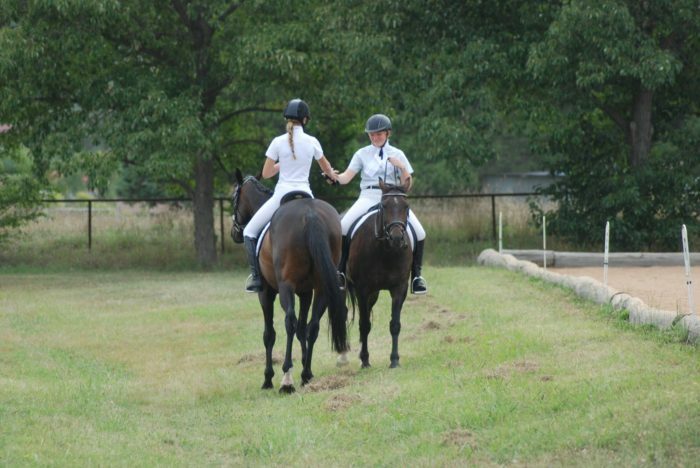 They were 2nd in the Preliminary 1.1 and 4th in the Preliminary 1.2. Laura Finlay has a brilliant day on Oaks Shilo. 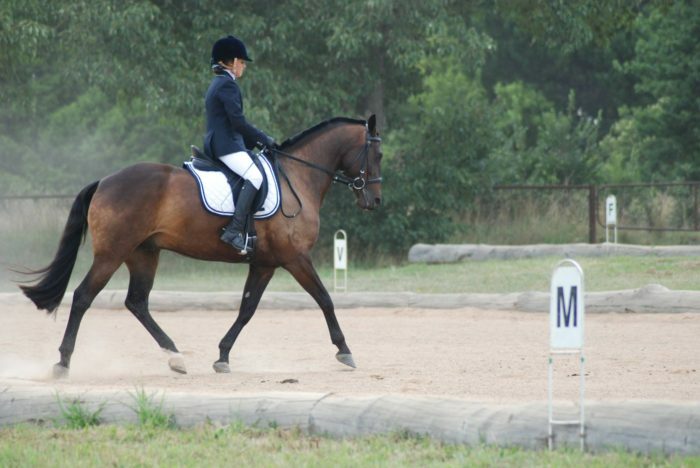 This pair is new to dressage and managed an impressive 3rd in Novice 2.1 and 5th in the preliminary 1.1. Our youngest competitor, Caitlin Croft and Honeysuckle Truly went brilliantly to finish 3rd in the Prep C and 11th in the Participation 1.1. 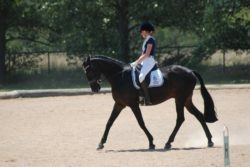 Priscilla Clonan did a wonderful job on her thoroughbred, Off the Chart. 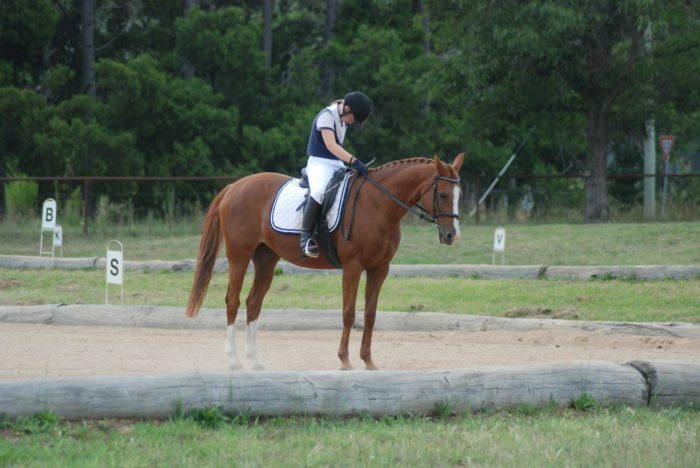 She rode him brilliantly and kept him relaxed in a competitive atmosphere. They may have missed out on the ribbons this time, but this will be a combination to keep a close eye on. We would also like to extend a big thank you to our senior dressage coach, Rachelle Hirst for supporting and warming up all the girls at dressage on Sunday. Thank you to Peter and Amanda Ruzsicska for capturing some brilliant moments on camera. A big congratulations to our super-coach Rachelle Hirst on achieving her EA Level 2 Riding and Horse Management accreditation. 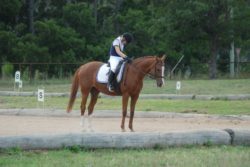 Rachelle, who already has her Level 1, is hoping to complete the Level 2 coaching element by term 2. Well done Rachelle! New Headsets for teaching at the EC! We would like to extend a very big thank you to Megan and David Aitken for their generous gift to the equestrian centre. They have kindly gifted us four teaching headsets that will be an absolute asset for both coaches and students. With multiple lessons going on in the same ring, the difficulty for the coach and student to communicate coherently was becoming apparent. Not anymore though, all coaches will now have a headset that they can communicate directly with their student. Imti was so excited about it, he thought a selfie was necessary.